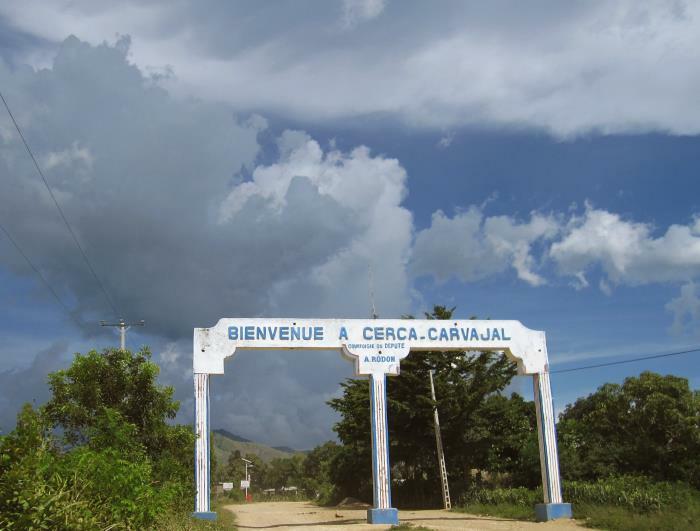 Taken August 27, 2013, this photo, courtesy of Centers for Disease Control and Prevention (CDC) Epidemic Intelligence Service (EIS) Officer, Nandini Sreenivasan, MD, shows us the archway that welcomes visitors to the Haitian commune of Cerca Carvajal. This commune was selected for the oral cholera vaccine (OCV) campaign in 2013 because it was deemed to be a high-risk area for cholera. It is a mountainous rural area several hours north and east of the capital, Port-au-Prince. Content Providers(s): CDC/ Nandini Sreenivasan, M.D. Photo Credit: Nandini Sreenivasan, M.D.